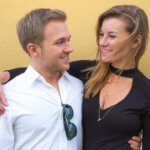 Ross and Rachel are the founders of Trill Media, an Instagram marketing agency that is on a mission to help brands boost their influence and leverage the power of viral marketing. Unlike other agencies, they focus only on the Instagram marketing tactics that gain 100% real, organic followers – no bots, no automation, and no spam. Ross and Rachel have used these strategies to form partnerships with influencers, create a network of over 100 million users, and develop a personal following of over 450,000 targeted followers.